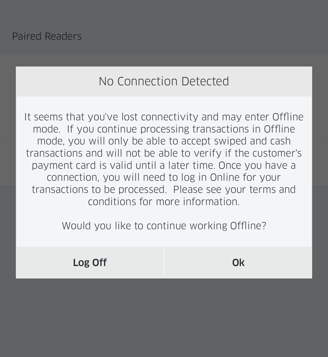 Offline transaction processing (store and forward) is now supported on RPX 5.3.0 and above for MSR transactions only, allowing merchants to accept payments in areas of poor reception or restricted WiFi, refund or void a stored transactions. 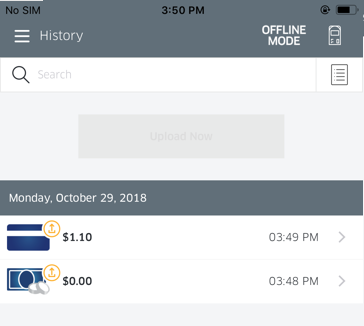 When reception improves, these transactions can be uploaded and processed as normal. Partial authorizations are also accepted. This process differs from the RPX4 functionality. Please visit the RPX4 help center for more information. Please note: Store and forward for keyed-on-pinpad transactions is currently only supported on the RP757 reader with firmware version 8.68. If this feature is desired, it must be configured internally by the Ingenico operations team. Please contact Ingenico support for further assistance. 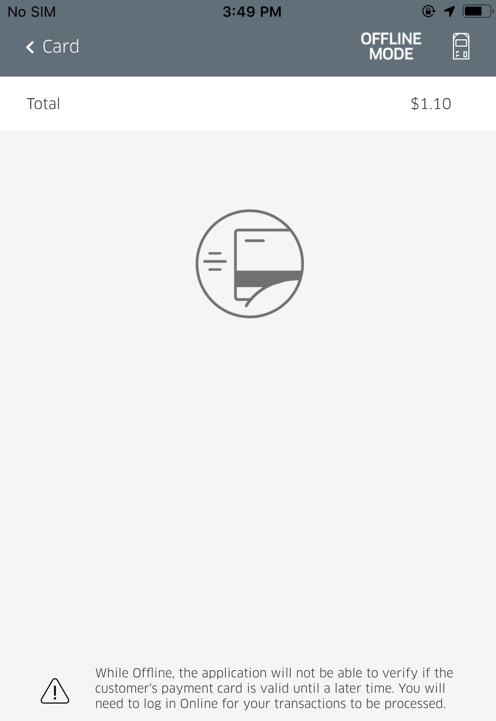 If you choose to continue working Offline, the application banner will now keep you notified that you are in OFFLINE MODE on all screens, as shown below. You may proceed adding items to your cart, and processing transactions as usual. 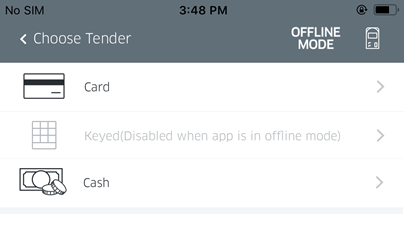 You will be presented with the choose tender screen, where you will see the keyed option is disabled. Once you reach the payments screen, you will see the following prompt. 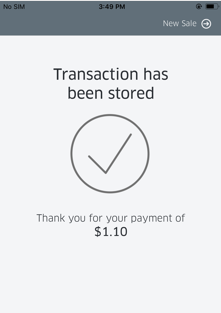 If processed successfully, you will be notified that the transaction has been stored. To learn how to upload stored transactions, please see the link here.